FAQ - Questions about making a Flower Delivery in Auckland - Best Blooms New Zealand. Best Blooms has delivered over 40,028 online flower orders. We are very experienced, and professional Florists you can Trust. 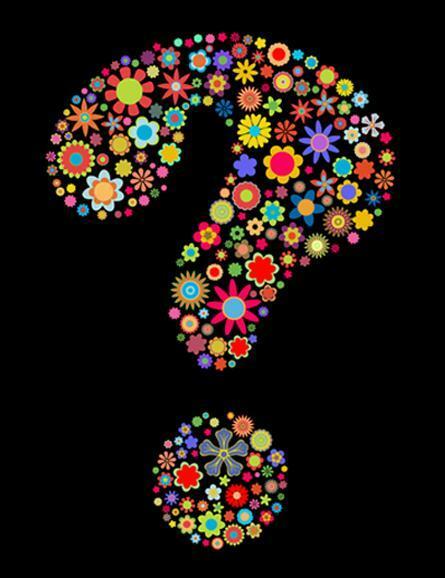 We know you will have many questions - particularly the first time you order flowers online for Auckland delivery. Dedicated Customer Services Team for Online Flower Orders. We have a dedicated, friendly Customer Service team, made up of Tessa and Teena who will answer any queries you may have via email. If you need a quick answer then pick up the phone and speak directly to our Florists, who will answer the phone. What time will my Flower Delivery get there? Delivery will be made on the date you have selected on your order. We prioritise business addresses, schools and funerals on the first run and these will be delivered before 2.30pm. For a Business Delivery - Please order before 10.15am. Home address deliveries will be sent on the afternoon run and these will be delivered between 4.30pm - 6.30pm. (Usually earlier). Home address cut off time to place your order online is 2.15pm for same day delivery. Hospital flower deliveries - We follow hospital protocol and send in the afternoon after the doctors have completed ward rounds deciding which patients to send home. You can request us to send out your delivery on the first run - please advise us in the notes to florist section of your order. Do you do Flower Deliveries to the rest of New Zealand? No we no longer offer N.Z. flower deliveries through the website as we have been disapointed with the results for our customers. We highly recomend you contact a florist directly in the town you wish to send flowers to - Please see our list here of New Zealand Florists. Do you do Rural Deliveries in Auckland? Yes we certainly do - most of these are priced inclusive on our website, however if it is further out, you will notice a nominal delivery charge to get it there. If you have selected the wrong delivery charge we will contact you in regards to your delivery. We concentrate on being specialists for your flower delivery in Auckland New Zealand only. We do not offer website orders for other deliveries in New Zealand. Do you do Sunday Delivery? No unfortunately none of the floral couriers in Auckland offer this service so we are unable to do Sunday delivery. Our store is closed on Sunday. MOTHER'S DAY - SUNDAY -- YES we can delivery on Sunday 12 May for Mothers Day! Our store will be open Saturday 11 May from 8:00am - 7:00pm and Open Sunday Mothers Day from 8:00am - 4:00pm. All our prices on our website include delivery. However please note we do not send out the small gifts and accesories on their own - these are priced to be included with flowers or plants etc. What happens when there are incorrect delivery details? Please ensure you double check all delivery details on your order - sadly it does happen! If we need to send the couriers back to do a pick up from the wrong address and then redeliver - they will charge us one new delivery charge for the pick up and one new delivery charge for the re-delivery. These costs will be passed on to you. Please note in these circumstances re-delivery may not be possible on the same day. What happens if they cannot gain access to the property or apartment? The floral couriers will only attempt delivery once and if they are unable to gain access will contact us and we will make contact with you or the recipient. If the couriers have left the address and we need to send them back to redeliver at a later stage they will charge us an extra delivery fee which we will have to pass on. What happens if there is no one home when the flowers are delivered? If there is no one home your flowers will be left in a cool, secure, sheltered spot away from the road. The courier will then place a calling card in the letterbox. Can I book a specific Delivery Time? No sorry, unfortunately we are unable to guarantee a specific delivery time. We work with professional Floral couriers and they do not offer this service. When you order online you can choose Mastercard / Visa or Amex for payment OR choose to make a direct deposit into our bank account. We are able to offer a Paypal invoice if you email us with a request. We do offer pre-approved corporate accounts for business customers with orders. Can I Order my Flowers by Phone? You are most welcome to order flowers by phone - we love talking to our customers! Call on +64 9 838 9058. Where are you Located in Auckland? Our flower shop is centrally located at 1/653 Rosebank Road, Avondale, West Auckland. Drive in - We have plenty of Parking! Our convenient central Auckland location right by the motorway, makes delivering flowers in Auckland very easy for us! Can I pick up my flowers from your store? >Yes - you are welcome to pick up your flowers from us. We are a real florist and are located at 653 Rosebank Road, Avondale, West Auckland. We have a sister shop at 447 Lake Road Takapuna. 8.00am - 5.30pm Monday to Friday. 8am - 12 noon Saturday. For more info or to place an order Call +64 9 838 9058. Will my flowers look like the picture? We work very hard to ensure your flowers look as close to the picture as possible. Sometimes we will have to substitute blooms due to seasonal availability and stock. Your order will ALWAYS be made up to full value. If there is a flower you really wanted included in your order then please mention this in the notes to florist section of your order. As one of the busiest florists in Auckland, we have a very fast and high turnover of fresh flowers. We buy from the auctions at the flower market 3 times a week, and have standing orders with many of our West Auckland flower growers to ensure we have quality, fresh blooms on hand every day. Is your Floral Service Guaranteed? When you place your order online your payment will be processed by Paystation. We require 24 hours notice to cancel orders to allow this 3rd party to process a refund. Once your flowers have been dispatched we are unable to cancel an order. If for any reason we are unable to deliver your order (ie some critical hospital wards will not accept flowers) we will contact you to discuss how you wish to proceed. Can I send an Anonymous Flower order? You will note during the checkout process you have an option to tick to remain anonymous. If you choose this option we will not write your name in the enclosure card. If the recipients contacts us to ask who sent the flowers we will email you with the request and rely on your answer as to what information is passed on. Due to the N.Z. privacy laws we are unable to tell you who sent flowers to you, if they have not authorised us to do so, as our contract is with the paying customer. Please note: If we are contacted in regards to harassment charge - we will work together with the law in regards to sharing information to ensure safety of others. We do not keep, store or sell your data in any fashion. Your data is private. Do I need to open an account to order? No we make it easy for you and offer a guest checkout option. It is well worth opening an account as there are many benefits including reminder services, (never forget an anniversary again! ), saving of your address book for easy future orders, and accumulated reward points. Is your site Secure for my flower order? Yes we offer the highest security - SSL encypted technology and your payments are processed via Paystation which is an independent secure payment gateway. Thank you for choosing Best Blooms - If you have any further questions - please do call us on +64 9 838 9058 - we are only to happy to help.